My Grandfather, Martin Rogers Biggers, was born November 25, 1897 in Aberdeen, MS. He grew up in Blue Mountain, MS and attended Mississippi Heights Academy in Blue Mountain. At age 18 he joined the regular Army in April of 1916. 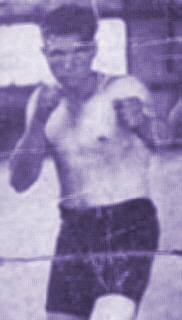 While in the Army, he enjoyed boxing as well as other sports. He was also an accomplished bugler, trumpeter, and band leader for various units. 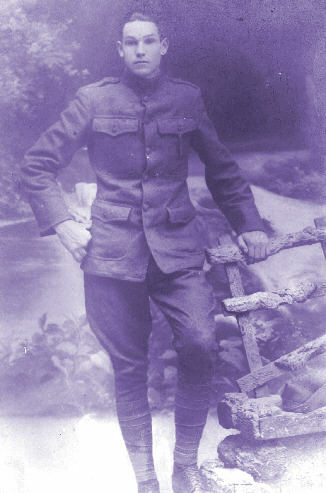 He was mobilized and shipped to France as a member of the 9th Infantry of the 2nd Division around September of 1917. He spent some time training at Camp Mailly and then entered to the front lines. He was seriously wounded March 2, 1918 by enemy machine gun fire in the Champagne Region (near the River Marne). He recovered from the wounds and joined George Patton's newly formed Tank Corps by early May of 1918. He fought in the 2nd Battle of the Marne from July 15th through July 24th as a machine gunner as well as a gunner in a Renault light tank. On Sept 12 through Sept. 16th he was involved in the St. Mihiel Offensive. At first in a Renault tank until artillery blew up his tank. After which, he was on foot with the infantry all the way to the town of Woel not far from Metz. His unit was moved north to participate in the American offensive in the Meuse Argonne campaign. He was seriously wounded while in a Renault Tank near Varennes/Cheppy late on Sept. 26th. He was a member of 326th (344th) Tank Battalion, Company C, 2nd Platoon. He spent the next 6 to 8 weeks in Vincy, France in a near full body cast. 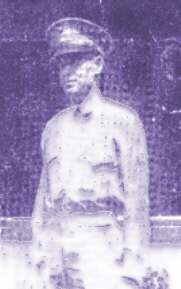 He did recover and was discharged from the Army in April of 1919 from Camp Devens near Boston. Martin later attended Auburn University vocational program as a veteran. He spent the next 20 years working across the south (Louisiana, Mississippi, Arkansas, Alabama) as an electrician and electrical engineer. After the bombing of Pearl Harbor in 1941, Martin joined the Marine Corps in March of 1942 at the age 44 and was discharged in 1945.